The potential cost savings make DIY home repairs look like an attractive solution, but are you sure you'll be happy with the result? According to CNBC, 43 percent of homeowners admit to botching a DIY home improvement. In the best case scenario, you have to spend more time and money fixing your mistake. However, the worst-case scenario could mean permanent damage to your home or your health. For some repairs, DIY is an easy call. There's no need to hire a pro to fix a leaky faucet or patch holes in the wall if you're reasonably handy. And some intermediate repairs are do-able for experienced DIYers. The average homeowner probably shouldn't tackle tilework or flooring installation on their own, but if you know your way around a toolbox and are willing to spend extra time getting it done, DIY is an option. 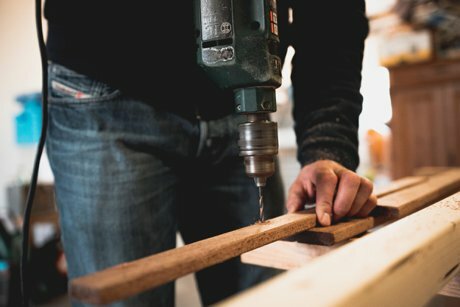 However, there are some projects you should never DIY because they're dangerous, require a permit, or have high potential to damage your home (or all three!). Even if you enjoy a good DIY challenge, these five repairs are off-limits. Electrical work seems simple enough. Wiring doesn't involve heavy lifting and doesn't affect the aesthetics of your home. It can, however, lead to electrocution or a house fire if it's not done right. And the tricky thing is, you won't know immediately if your DIY wiring is a fire hazard. Faulty wiring can spark a house fire months later. The other problem with DIY electrical work is that it might not pass inspection. If you think no one will notice, think again: You’re required by law to disclose unpermitted work when selling your home. Small electrical jobs like installing outlets and fixtures cost $200 to 500. If you're rewiring the entire house, expect to pay $1,000 to $2,000. Think twice before you start swinging that sledgehammer. Unless you know with 100 percent certainty that a wall isn't load-bearing and doesn't contain plumbing or electrical wiring, you shouldn't DIY your demolition. Interior demolition also requires a permit in some circumstances. Some demolition projects are ok to DIY. Many homeowners prefer to take out cabinets, tiling, and fixtures themselves to save money on a remodeling project before the pros come in. But when it comes to walls, spend the money to avoid a demo disaster. Prices vary depending on the project, but this resource gives you a starting point. A small mistake in gas appliance repair could threaten your family's lives. Gas leaking into your house can spark a fire or cause carbon monoxide poisoning. If a gas dryer, oven, or furnace repair requires working with gas lines, always call in a professional. Most appliance repairs cost around $200, and some of them may be covered under your appliance warranty. If you simply need a new gas appliance installed, ask if the installation is included. Many homeowners don't think twice before spraying pesticides in or around their house, but they should. Pesticides are potent chemicals and inexperienced users tend to over-apply pesticides. This has serious repercussions for your health, but proper use of pesticides greatly reduces the risk. If you're dealing with termites or another pest issue, calling a pest service is a no-brainer. The cost depends on the extent of the problem; in Columbia, extermination is usually between $158 and $731, but there may be structural damage to repair as well. Even experienced roofers fall off roofs and suffer serious injuries or death. Without training and proper safety equipment, you're even more likely to get hurt if you climb on the roof to patch a shingle or make another roof repair. DIY roof repair simply isn't worth the risk. Minor roof repairs can cost as little as $150, while the bill for bigger projects is around $1,000 — there's no doubt your life is worth more than that. Always err on the side of caution and call in a pro when it comes to your roof. Period. DIY home improvement is cost-effective and rewarding, but only when you do it right. If you want to save money on home repairs, stick to the jobs you can do safely and satisfactorily, and leave the rest to the pros. Your home and your health will thank you. Welcome home to 419 Coral Rose Drive, Irmo, SC 29063! This large open 4 bedroom, 3 bath home is set in the lovely subdivision of Rose Oaks. 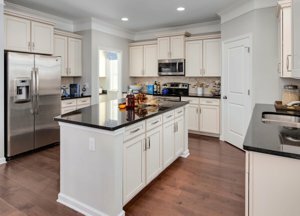 Recessed lighting and a large conversational breakfast bar highlight the kitchen along with beautiful hardwood floors and granite counter tops. The formal dining room has coffer ceilings and custom molding. The owner's suite has tray ceilings, a large walk-in closet, double vanity, separate shower, garden tub and is located on the main floor. This house is all on one floor with a bonus room on the second floor. The home also features high ceilings, a fireplace and hardwood floors. This premier lot has a fully fenced private backyard and a charming patio, making this an ideal spot for friends and family gatherings. All of this in the award winning Lexington-Richland School District Five and minutes from the interstate. To view this home or for more information, please contact our agent, Jason King. Welcome home to 225 Sherwood Drive, Lexington, SC 29073! This beautiful 3 bedroom, 2 bathroom home is conveniently located close to I-20 in Sherwood Forest and sits on more than half an acre of fenced land. The living room is accented by a wood burning, stone fireplace. 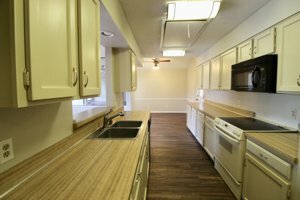 The large eat in kitchen has a closet pantry and plenty of counter space. There is an enormous bonus room that spans the entire length of the house with recessed lighting and built in shelving. Relax in the spacious back yard and enjoy the large tiered deck, built-in swing, fire-pit and shed. Vacation homes are no longer solely for the extremely wealthy; with so many options on the market these days, it’s easier than ever to find a great getaway that won’t break the bank. That’s why so many people are looking for a place to stay during spring break, summer vacation, and the holidays, which gives homeowners the chance to make some extra money by renting out their place. If you’ve ever thought about turning your home into a rental, there’s no time like the present. The key is to figure out how to do it without spending a ton of money so you’ll get the most return on your investment. Fortunately, there are several ways you can get started. If your home is less than 10 years old or has been well-maintained, you might only need to take care of some small repairs and update a few things. You can also clean and declutter, which will make a big impact and will help you see the potential in your home. It will also make room for more guests, which will allow you to charge more for the rental. Here are a few things to think about when it comes to turning your home into a vacation rental. The air in your home is an important part of keeping everyone healthy, and one of the easiest ways to keep it clean is to ensure that the air filters are in great shape. These filters will trap dust, pet hair, and other debris and can throw it all back into your home if they become full, so it’s important to change them out regularly, especially during the hottest and coldest months. With a filter subscription service, you can have new ones sent right to your doorstep as soon as you need them, and it will save you money over time. One of the best ways to attract guests is to offer quite a bit of space in which they can stretch out and relax. Families often travel together, meaning your home will be a huge draw if they know they can rely on having plenty of rooms and beds. If you have a spare room that’s currently full of belongings, consider putting everything into storage in order to provide additional space for your renters. If you’re looking for an inexpensive 5x5 storage unit in Columbia, CubeSmart Self Storage has rentals for as low as $29 a month. While many vacation rentals offer hot tubs and pool tables, you don’t have to spend a ton of money on those extras if you take the time to update the things you already have. 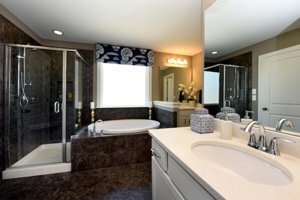 The bathrooms may need a little love, but you can spruce them up with a fresh coat of paint, a new shower curtain, and perhaps some new fixtures and lighting. Add some fluffy towels to give your guests a little taste of luxury. The outside of your home is just as important as the inside when it comes to attracting guests, so don’t forget to landscape, change out light bulbs in outdoor fixtures, and add small details like hanging flower baskets or a sweet doormat. Curb appeal isn’t just for homeowners; your renters will want to pull up to a house that welcomes them and gives an impression of comfort and relaxation. A vacation home is a great way to earn some extra income, but you have to be prepared to keep up with the maintenance in order to keep your guests happy and to ensure that you’ll have plenty of renters in the future. Keep a checklist of tasks so you won’t fall behind; not only will this help you keep up with the maintenance, it will help save you money in the long run. Welcome home to 87 Ridge Lake Drive, Columbia, SC 29209! Stunning views are the highlight of this spacious 3 bedroom, 3 full bathroom home located in the Reflections subdivision. 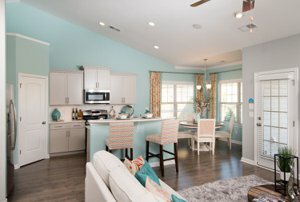 Reflections is conveniently located close to I-77, Garners Ferry Road and the Fort Jackson Army Base. 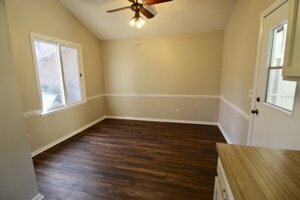 This home offers new paint, floors and fixtures throughout that highlight the open layout of the first floor, which includes the living area, dining area, a large eat in kitchen, one bedroom and a full bath. 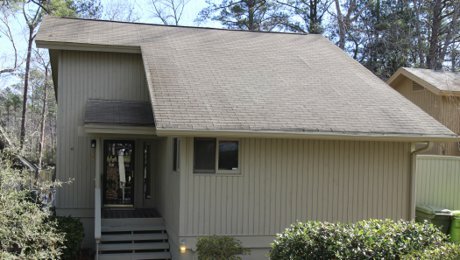 Downstairs you will find two additional bedrooms with attached baths and a large screened porch overlooking the lake. There are two outside areas off the main floor. Fish right from your deck or relax on the enclosed patio. 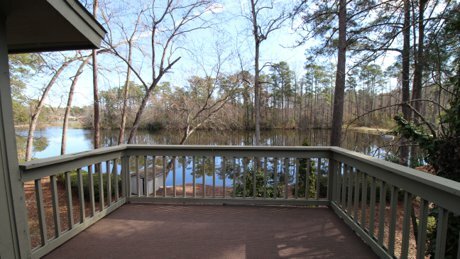 Enjoy maintenance free living at your own private getaway in natures backyard! This home is zone for Richland One schools: Caughman Road Elementary, Hopkins Middle and Lower Richland High School. At just $127,900 this property won’t last long. For more information or to view this property, please contact our agent, Brandi Clarkson. Welcome home to 111 Avensong Drive, Lexington, SC 29072! 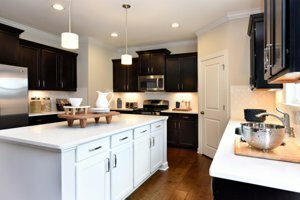 Located in beautiful Madison Park, this 4-bedroom, 2-bathroom home was built in 2017 and offers more than 2100 heated sq ft. and 2-car garage. This beautiful home features an open eat-in kitchen and living room area. The high ceiling owner's suite has a bathroom that offers a double vanity with separate tub and shower. 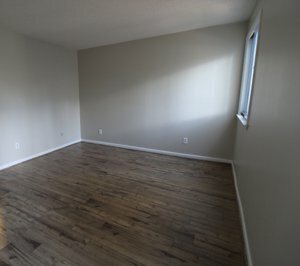 Two large bedrooms are located on the main floor with a 4th bedroom upstairs; this bonus room makes a great media room or 4th bedroom. A privacy fence surrounds the backyard, making it the perfect spot for entertaining family and friends. Relax and enjoy Madison Park’s neighborhood pool and playground. Residents of Madison Park will attend Lexington School District 1 schools; Lake Murray Elementary, Lexington Middle and High Schools. To view this home or for more information, please contact our agent Jason King. 360 video will pan up, down, left, and right to allow you to see all the different angles of the property. 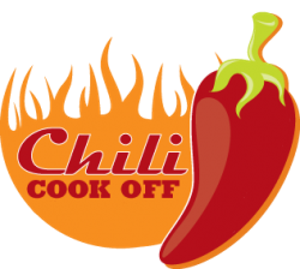 Welcome home to 1167 Lake Shire Drive, West Columbia, SC 29170! This great 3-bedroom, 2-bathroom home is located in the established Hamlet South neighborhood, convenient to I-26, I-20 and Hwy 1. All on one level, this home offers over 1,000 square feet with an open concept. The front of the home features a rocking-chair front porch, great for relaxing with a cup of coffee. 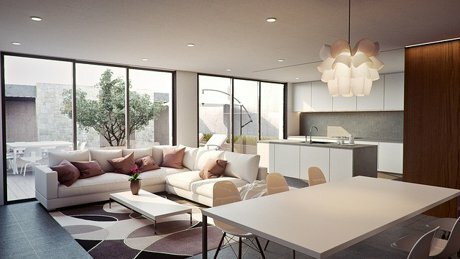 The living room is open to the kitchen and dining area, offering a spacious feel with lots of natural light. The owner’s suite has a walk-in closet and private bathroom. There are two additional bedrooms that are spacious as well. The backyard is fenced and has a large deck and patio area. This low maintenance home has a new roof and newer vinyl windows. 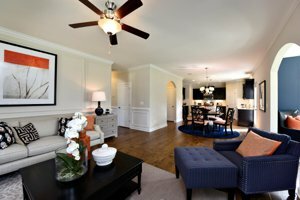 This great home is zoned for award-winning Lexington One Schools, White Knoll Elementary, Middle and High Schools. Priced at $124,900, this home won’t last long! To view this home or for more information, please contact our agent, Jason King. Jessica Canaday, Real Estate Agent with J. King Real Estate, talks about the benefits of home ownership, knowing when to transition from rent to home ownership, and the correct steps to make that move. 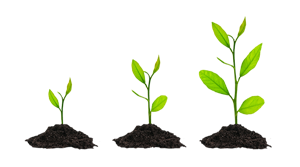 Today I would like to plant a seed to turn your rent into home ownership. Let’s ask the right questions to help you make an informed decision. How long will you be living in your home? The longer the better. Home ownership creates stability in your community, financially, and professionally, just to name a few. What is your financial situation? I can partner you with a local lender to advise you on what you can buy and when to transition your rent into home ownership. Gene Robertson with Movement Mortgage can answer all of your lending questions. 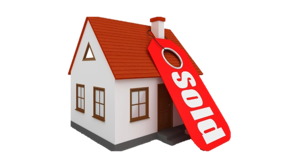 “What can I afford to buy?” With little to no money down a $1200 monthly payment can get you into a $180,000 home. Gene has provided an interesting graphic to help you visualize the benefit to turning your rent into a mortgage payment. Let’s look at your options. Please call me today for more information.